Copenhagen, Denmark, is one of the most frequented cruise ship ports for a Northern Europe or Scandinavia cruise. It’s a top destination for travelers who want to go somewhere exciting and new without getting too far off the beaten path. It’s a great place to visit because it has so much to offer, including good food and great weather. You can certainly fill a week’s time with activities, but even if you only have 36 hours in Copenhagen, you can accomplish a lot and see some pretty great things. On our Northern Europe cruise, we stopped in Copenhagen for an overnight, so we had about 36 hours to meander around the city and get as many things checked off our list as possible. Here’s a run down of the top things to see and do, that can all easily be done within a short 2 days in Copenhagen. The best time to visit Copenhagen is in the summer so you can take advantage of the long days of sunshine and mild temperatures. Spring and fall are also nice, and there are decidedly less crowds to contend with. ⇒ Need more help planning your trip to Copenhagen? 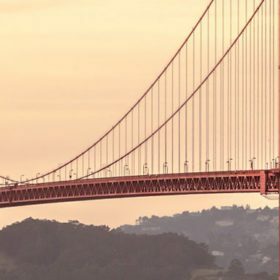 Check out our shortcut travel guide for more top spots. MadenItaly makes various delicious authentic gourmet pizzas. Located on the old industrial island of Refshaleøen, across the canal from Nyhavn, Reffen is a Copenhagen street food conglomeration of start ups – including food stalls, bars and workshops located inside the large industrial space. Food ranges from amazing pulled pork sandwiches to bowls of crispy duck and rice to inventive and delicious pizza and tacos. It’s a bit like walking through a food wonderland. Go there hungry or you’ll surely regret it! We spent 2-3 hours wandering around, sampling a bit of everything. Get there in just 10 minutes on a canal cruise from the Nyhavn, on the harbor boat, on bus 9A, or via taxi. Check their website for opening hours and current stalls. 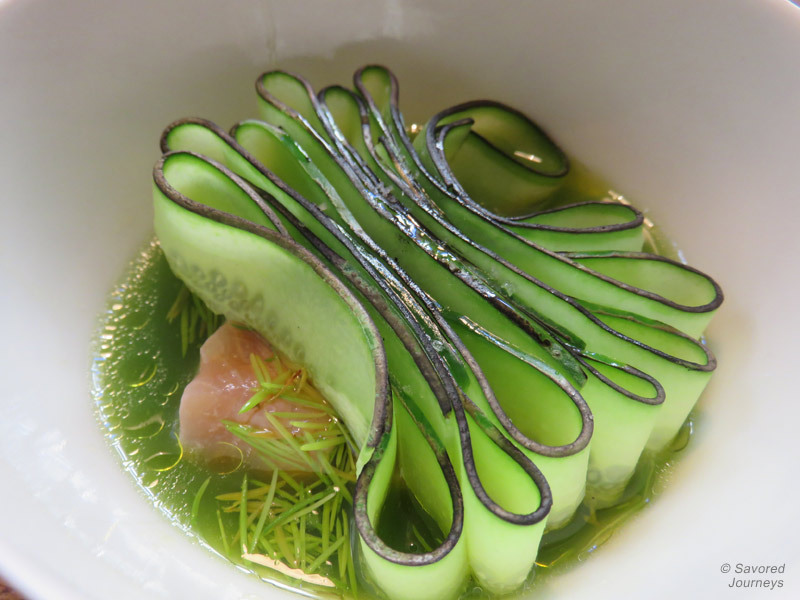 Michelin star restaurants are almost synonymous with Copenhagen these days. There are currently at least 15 restaurants in the city that hold stars. If you only have one or two nights to enjoy the food of Copenhagen, we definitely recommend making one of them a fine-dining experience. We had a very nice 7-course, unpretentious dinner at Relae while we were there and found it to be an exceptional dining experience. Other great options are Noma, Geranium and Søllerød Kro. Be prepared to make reservations at these restaurants well in advance, and always have a back up plan when you can’t get in. Nyhavn is one of Copenhagen’s most recognizable locations, due to the row of colorful townhouses that line the canal. The view is exceptional and you can hop on a canal cruise from here or hop across to the Opera House or Reffen, making it just about the most convenient hub in the city. But beware, the crowds can be overwhelming and the food served at the dozen or so restaurants along the way are often overpriced. Tivoli Gardens is an amusement park – the second oldest in the world! – located right in the heart of the city. They have antique roller coasters, replica Japanese gardens, various entertainment venues and even an aquarium. You could definitely spend an entire day there, but it’s also fun just to stroll by it and look at the lights at night. Yes, I said it. It’s completely overrated, but the Little Mermaid statue by Hans Christian Anderson is still one of the most viewed statues in the Copenhagen. People seek it out like there’s something magical about it. The truth is, when you see it in person, it’s very underwhelming. But the stroll along the waterfront that leads from Nyhavn all the way down to the cruise ports, is a fantastic walk, and well worth doing, even if the statue isn’t everything you thought it would be. You have to hop a bus from the city and go a few miles southwest of the downtown area to get to the Carlsberg Brewery, but if you’re a beer fan or are just looking for a nice place to hang out for a few hours, the extra effort to get to the brewery is worth it. They have a large beer garden where they pour a handful of Carlsberg beers alongside some really tasty-looking hamburgers. They also offer guided tours that will let you in on a bit of the long history of the brewery. Biking is definitely the way to get around in Copenhagen. We were told by a local that it’s very costly to own a car in the city, so everyone bikes instead. It’s one of the safest places to bike that I’ve ever seen. People even leave their bikes unlocked on the street. So it makes complete sense that you would take a bike tour of the city. It’s a fast way to get around to all the big attractions. But if you’re not into biking, there are a lot of walking tours offered from the town square, as well. There are many narrow canals around the heart of Copenhagen, so one of the best, albeit touristy, ways to see the attractions of the city and get your bearing for where things are is to take a canal cruise. You certainly won’t be the only one getting in line for this experience, but it’s worth it. On a 45-minute ride around the waterways, you’ll catch a glimpse of all the top areas that you’ll probably be wanting to go back to later. 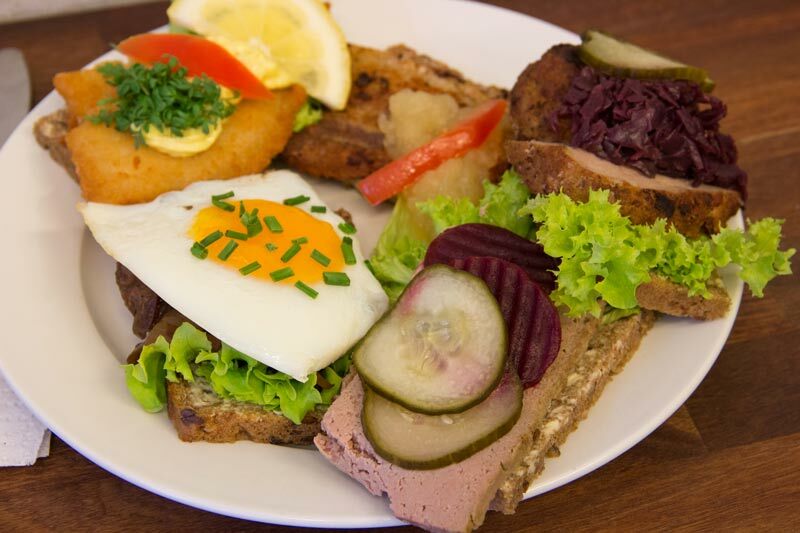 A typical lunch in Copenhagen is smørrebrød – an open-faced sandwich. If you don’t mind being a total tourist, a great place to grab lunch is at one of the busy restaurants along Nyhavn. You’ll be right in the thick of things, have a gorgeous view from the outdoor seating, and get to try any version of smørrebrød you want. Another popular choice is a fish filet with remoulade and shrimp on top. See what other foods you’re likely to encounter while eating in Copenhagen in this guide to Danish food. If you’re wanting to try a taste of Scandinavian food, or are just plain curious what type of foods are eaten in Denmark, your best course of action is to go on a food tour with Copenhagen Food Tours. Their 2-hr Nordic Essentials tour will introduce you to the emerging trends in Nordic food. You’ll try cheese and wine, licorice candies, jams and other local products, and you don’t have to worry about it overlapping with your traditional smørrebrød lunch because open-faced sandwiches are not on the menu! ⇒ Check out our Finland food tour for more details on the Scandinavian food you can find in the area. See all these fun things to do in Copenhagen? There are more than enough things to keep you busy for your 2 days in Copenhagen. Makes you want to book a trip right now, doesn’t it? We highly encourage this spontaneous behavior! Already been to Copenhagen? Tell us what your favorite things are to do in the city. Want to get a headstart on your planning? Here are three affordable luxury hotels in Copenhagen that we recommend. Public transportation in Copenhagen is very useful for getting around to all parts of the city, so don’t think you need to stay in the City Center to see everything. In fact, things are a bit too spread out to walk everywhere, so a bus or bike rental will be necessary anyway. (Note: these are affiliate links, which cost you nothing to use, but may earn us a small commission). This entry was posted in Things to do and tagged copenhagen, denmark. Oh man, Laura! as usual I get hungry after your posts! Food looks so good! I must agree that the Little Mermaidd statue is a wee bit underwhelming. 🙁 But if only for Nyhavn, I’d love to visit Copenhagen soon! Im totally clueless about cruises and never realized Copenhagen was a big stop! I’ve been interested in taking a cruise lately to see what all the fuss is about.. maybe I should do a nordic cruise! Sounds like you fit a ton of stuff in during your visit! Yes, it’s a big cruise port. But there’s so much to do that making it a destination on its own is perfect too. It’s really easy to get around to all the stuff to do. I’d be game for a bicycle tour☺ I agree with the little mermaid. It did feel very underwhelming. I did however try to do the mermaid swimming lessons( back home ) that felt more apt for living the mermaid dream compared to this statue. Hah. I can see how that would be true. I mean, it’s a lovely statue, but I can’t understand the cult status. I’ve been kind of hesitant to go to Copenhagen because I heard it’s soooo expensive. However, since I love nordic destinations, I’m sure I’ll end up there one day, anyway. Thanks for the useful guide! Sure, it’s a bit more expensive than other places in Europe, but you can always find ways to cut costs. It is a great destination. Never thought of food tours in Copenhagen! I’m keeping it in mind for my next visit! Thank you for the great tips! Yum, you made me hungry with all those photos of food! 🙂 And since we’re talking about visiting Copenhagen next year, I’m going to have to save your post for future reference. A bike trip around the city certainly sounds like the way to go. I’ll have to make sure my daughter is very comfortable on her bike by then, though. 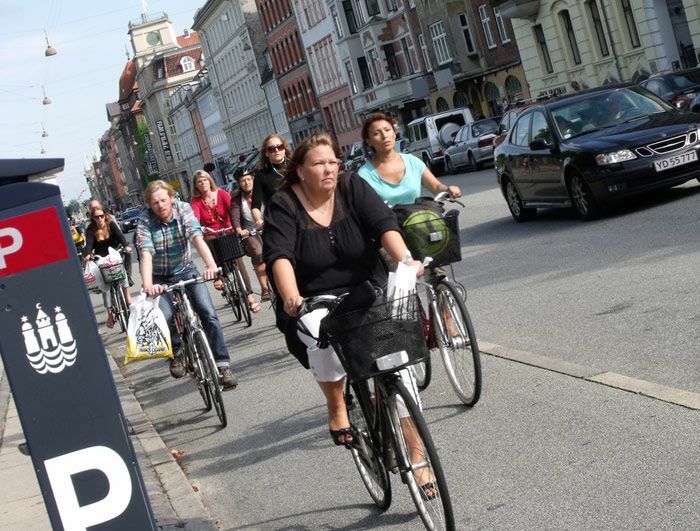 You’ll be amazed at how easy it is to bike around Copenhagen. They have dedicated lanes for bikes. It’s a dream. Wow, you certainly did a lot in 36 hours! I would love to try the bike and the food tours if I ever find myself there. The food looks so good! 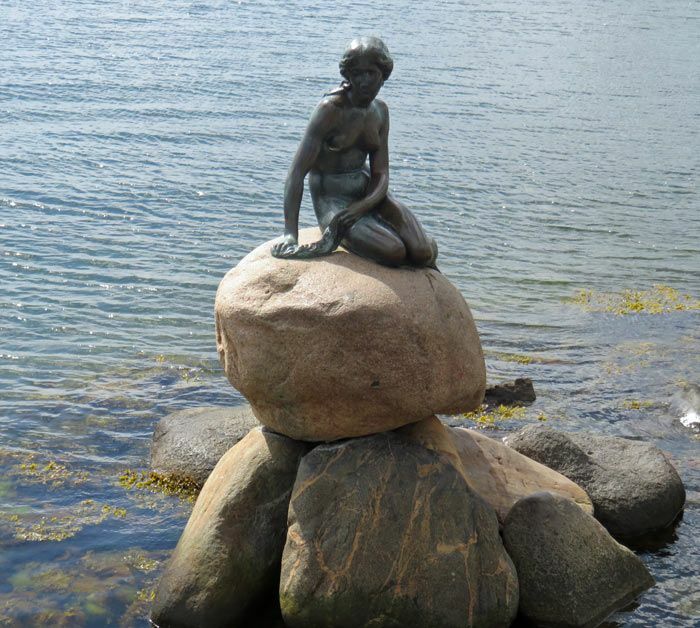 I actually had no idea that there was a little mermaid statue in Copenhagen, but even if it is overrated, it is still nice to check it out for the first time. Hi Lieurene – It’s true about the statue, you have to see it at least once, even if it’s overrated. The bike and food tours are awesome though! Great post! You hit all the major spots and experiences. Thanks for sharing!